In our travels and conversations over the past few years while introducing our horse fly trap to the market, we have spoken with many horse owners, riders, trainers, and other equine enthusiasts about their fly control problems. We have heard which methods of fly control you favor and what works the best. When it comes to the pests known as horse flies (commonly known as greenheads, yellow flies, deer flies, and B-52 black bombers), the consensus is that the solution is not that simple. Desperate measures call for trying all sorts of fly sprays, fly sheets, baits, and store bought or do it yourself horse fly traps to alleviate the horse fly bites to humans and animals and the diseases known to affect horses and livestock from horse flies. We have heard many of you speak of the benefits of using a biological control in the form of tiny parasitic wasps and how they have been the answer to controlling biting horse flies. Curious to know more about our potential competition, we did some research and found that biological control will not affect horse fly populations. Spalding Labs, a company in Las Vegas known for its expertise in all things related to flies, has also confirmed this fact in their literature since 2012. In a question/answer discussion, an agent wrote: “Fly Predators, house fly traps and baits will have no impact” on the horse fly species that include greenheads and deer flies. The effectiveness of biological control on other types of flies, such as common house flies and biting stable flies, is another matter in integrated pest management control, however. Technically speaking, these parasitic wasps are known as filth fly pupal parasitoids (Hymenopteran insects from the Pteromalidae family). Depending on the supplier who is selling these wasps, they are also called Fly Predators, Fly Raptors, Fly Eliminators, and Fly Parasites by their registered trademarks by the manufacturers Spalding Labs, Green Methods, Arbico, and Organic Cowboy, respectively. These gnat like insects do not bite or sting animals or humans, and are considered beneficial to the environment. 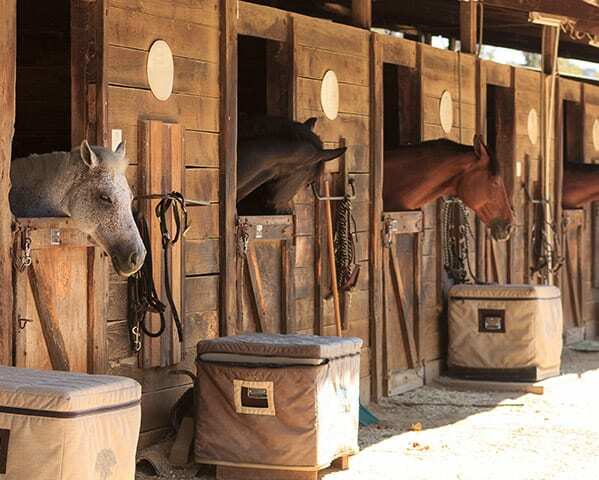 They disrupt the life cycle of biting stable flies and common house flies that breed in manure, soiled bedding hay and wood shavings, and rotting organic material. This method is performed in the females’ adult stage by drilling a hole and depositing eggs into the immature pupa stage of the pests they will soon destroy. By feeding on pest fly larvae, they will interrupt the life cycle of these common equine farm pests. Comparison of Host-Seeking Behavior of the Filth Fly Pupal Parasitoids, Spalangia cameroni and Muscidifurax rapton (Hymenoptera: Pteromalidae). http://digitalcommrns.unl.edu/cgi/viewcontent.cgi?article=1120&context=entomologyother. Now back to eliminating horse flies. Will biological control using parasitic wasps work? No. So if not pupal parasitoids, what’s the answer? A horse fly trap especially designed to control horse flies! The H-Trap Professional Horse Fly Control System from Bite-Lite is giving any other commercial trap out there a run for its money!